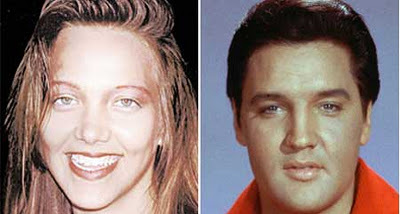 IS Lisa Johansen the daughter to Elvis Presley? You can, of course, asks Elvis if it’s true. You only need to press “6” on the middle lift’s panel at the Harvey Nichols department store, Knightsbridge. Or you can just put in a $130m claim against the Presley estate for “alleged defamation and infliction of emotional distress“. Johansen penned the 1998 memoir I, Lisa Marie: The True Story of Elvis Presley’s Real Daughter. In it, she claimed to be Priscilla Presley and Elvis’ daughter. Only, Johansen refused to take a DNA test. Johansen’s publisher sued her for a reasonable $50 million. But Johansen claims she took a test in London in 2010. Also in her write filed at the Tennessee federal court, Johansen alleges that Lisa Marie Presley stole her identity to prevent her from getting her inheritance. Elvis Presley arrived in Hollywood nearly a year after Dean’s death to make his first film, Love Me Tender, and turned out to be obsessed with him, too. He sought out anyone with a connection to the dead actor, dating Wood and asking Hopper — who was no longer jealous of her lovers — for help. 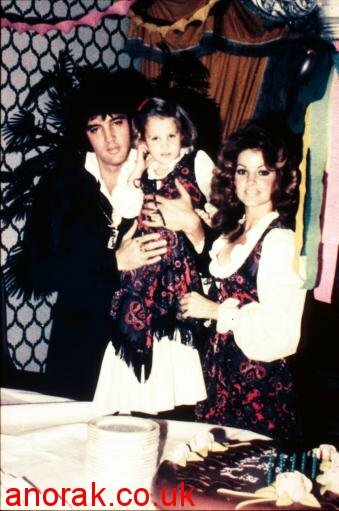 Elvis, Lisa Marie & Priscilla Presley at Christmas. Family, Father, mother & daughter.